Make your special day an unforgettable one! Let us host your wedding and start this new chapter of your life in stunning fashion. 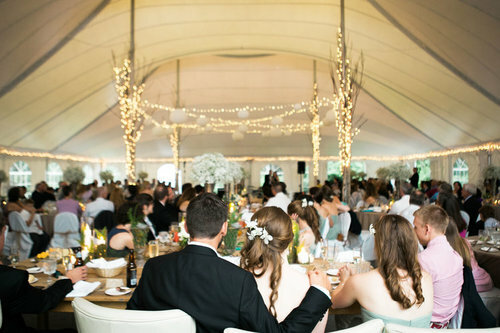 Waterville Valley has it all: Easy access, picturesque ceremony locations, convenient function space, lodging, and all the amenities you and your guests need for the perfect wedding. Our coordinators are at the ready to handle every detail from the moment you arrive! From an intimate, low-key gathering to full-blown celebration, complete with outdoor dining, dancing under the stars and fireworks, we’ve got you covered. Call our sales team today and start planning your memorable day! Waterville Valley has been hosting groups large and small for decades. Our world-class conference center, country inns & grand lodges, coupled with our variety of restaurants and 4-season recreational facilities, have groups of all sizes raving. Conference and meeting groups can utilize one of New Hampshire's largest conference facilities accommodating groups of 25 to 1,000. And attendees will find lots to do in their spare time. Our Freedom Pass will give them access to golf, tennis, mountain biking, boating, chair lift rides, hiking and ice-skating. In the colder months packages include alpine skiing, nordic skiing, snowshoeing, sleigh rides, and ice skating. Admission to the state-of-the-art athletic center, offering indoor tennis, weight room and Olympic-sized pool, is included all year. And we're conveniently located off Interstate 93, just 2 hours from Boston, 1 hour from Manchester-Boston Regional Airport, so attendees can get here with ease. Contact our sales department to start planning your business retreat! New Hampshire’s Family Resort is ready to show you why we’ve earned our reputation. Families have been gathering here for over 100 years, drawn to the “accessible” seclusion, clean mountain air, recreation opportunities and beautiful surroundings. We have the perfect inn, lodge or condominium to cater to your needs and our multitude of restaurants and lounges are group-friendly; our Town Square is the perfect hub for informal gatherings - 21+'ers can even move about freely with their adult beverages, a rare find anywhere! Take advantage of our Freedom Pass, offering FREE golf, tennis, boats, bikes, chairlift rides, athletic club access and more. For more details, contact our group sales department.